We asked which brands you wanted to see, and you told us gloMinerals! It's no surprise as this good-for-your-skin makeup line is a customer and office favorite. 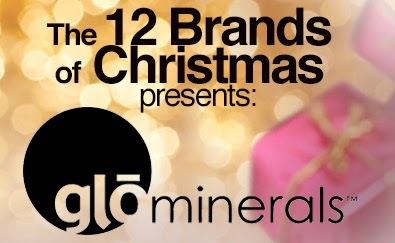 For this week's 12 Brands of Christmas, we'll give you tips to get a beautiful holiday "glo." Sheer Tint Base Illuminator: This sheer formula will give a glow to all skin types AND with light-reflecting ingredients, it also smooths fine lines. You can mix it with your face primer or liquid foundation for convenience. For extra illumination, apply on eyelids either under or over eye shadow, and on top of blush to give your cheeks a perfect glow. Jeweled Eye Pencils: We were super excited to get these in stock! These pencils are actually thick creamy crayons that make application easy and fun. You'll be glowing and on trend with these beautiful metallic shades. Our current favorites include Antique and Merlot. Shimmer Brick: This little multi-tasker available in Luster (for golden or olive complexions) and Gleam (for all complexions) will definitely give you an all over glow. Swirl the four colors together or use them individually to highlight your cheeks or eyes. 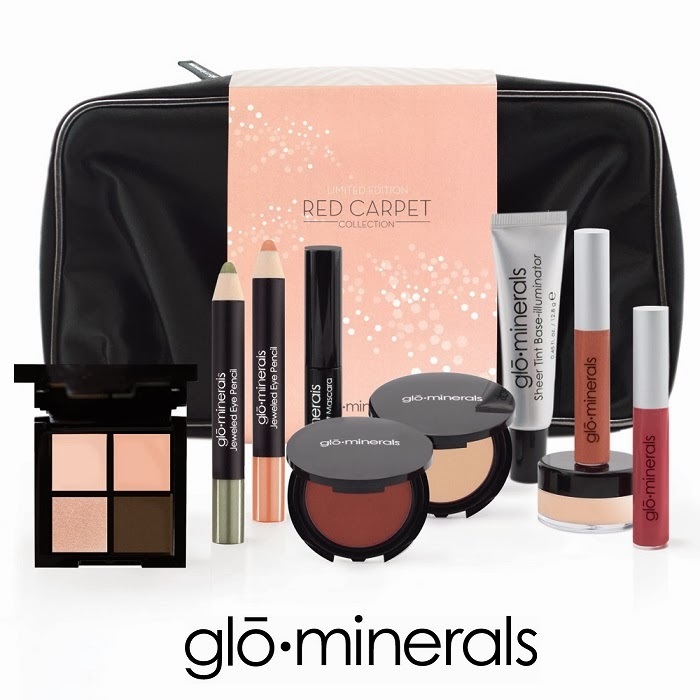 Get holiday dress ready with gloMinerals Body Bronzer and Body Glisten! For an all over sun-kissed glow, Body Bronzer adds a subtle and natural-looking tan. Body Glisten will add that perfect touch of shimmer and sparkle to your skin for a night out. Don't forget the lips! It's easy to add glow to your lips with gloMinerals gloGloss. Some of our favorite natural shades include Brown Sugar and Starstruck. If you're looking for a great gift idea, check out the Limited Edition Bare to Blush Lip Gloss Tin. It comes with four beautiful lip glosses and is definitely on our wish list! If your skin is already aglow and you want to control shine, gloMinerals gloPerfecting Powder is the solution. It will eliminate excess oil and give your skin a matte finish. It's also translucent and perfect to carry in your purse for midday touchups. Wanna win? Visit here to see how you can receive entries!! And don't forget to follow us on Facebook for the rest of the week for your chances to win FREE SAMPLES, play fun games, learn a ton about this AMAZING makeup line and more! !